For the Fourth of July, Miss Caroline and I did some fun crafts and made some fun treats. She is absolutely in LOVE with the movie Tangled, so we made some floating lanterns. 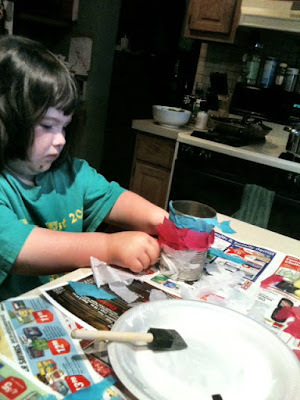 All we did was take some tissue paper and use watered down Elmer's glue to attach it to the cans and jars. 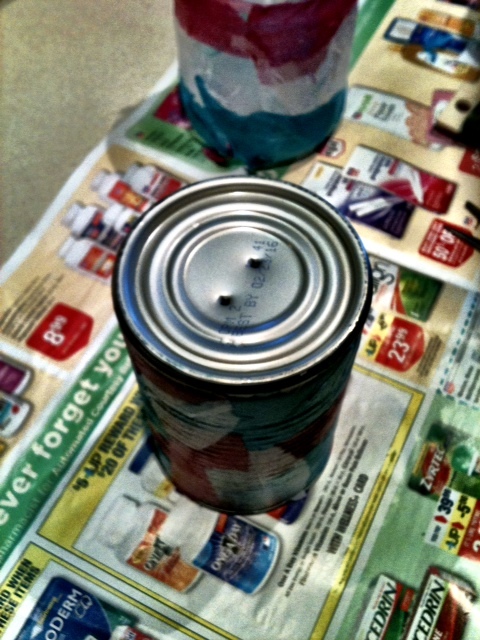 The cans and jars came from the recycle bin! Aren't they beautiful? 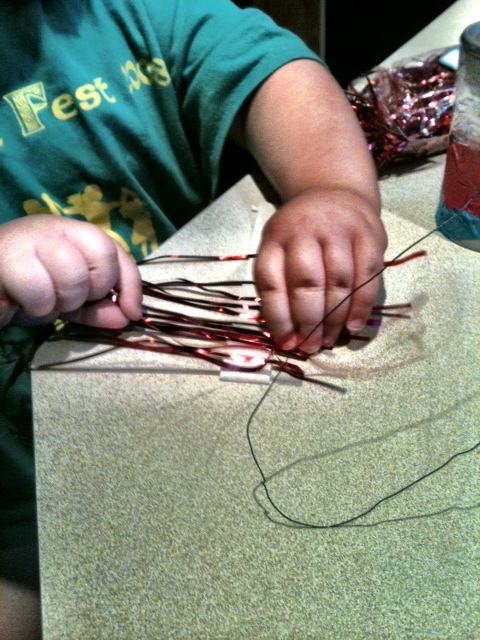 I made the two on the left, and Miss Caroline made the ones on the right. She likes the red, white and blue stripes. 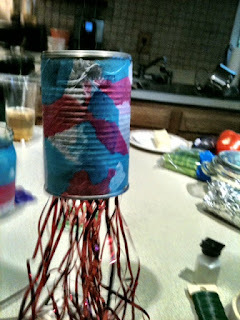 Then I poked some holes in the top of the cans and laced a wire through it to hang it. We added some tinsel In the cans to make them "extra special sparkly." Pretty easy huh? And the best part... this project was totally free! They are now hanging on our front porch! And they were a lovely, simple addition to our fourth of July. Hi everyone! I'm Alex! I'm a twenty-something making my way through my crazy busy life. I like to try new things, pretend to cook, fuel my caffeine addiction and shop online. Thanks for visiting! Some posts on Always, Al may contain affiliate links and/or reviews of complimentary products I have received in return for my honest opinion.